We didn’t include Sarah, the person we were preparing for, in any of our planning conversations! This mistake wasn’t immediately apparent to us. In fact, it wasn’t until few years after we finalized all of our planning decisions, that we realized our mistake. While my wife, sisters, and mom stood around the kitchen island chatted about something, Dad and I sat at the kitchen table and began talking about the state of the American economy and how it was affecting his retirement accounts, that I managed. Sarah with her mom and dad. Wow. That certainly wasn’t the question any of us would’ve expected to pop out of her mouth that sunny, Sunday afternoon. We thought we had planned for everything. But we didn’t let the person at the center of our planning process know that she was well-planned for. We forgot to provide Sarah with a sense of security, knowing that no matter might happen in the future, she would be loved and cared for. As the only “kid” still living at home with mom and dad, how many nights had she lay awake in bed wondering what would happen to her, if something happened to them? One of the most important parts of the special needs planning process is to create peace of mind from knowing that the future is well planned for. We failed to provide my sister with that sense of security. Have you talked with your loved one about the future? Do they have peace of mind knowing that their life is well planned for? Do they have any questions or worries about their future? If you haven’t yet explicitly discussed your planning decisions with them, my guess is that they do. All it takes is a conversation to ease their heart and allow their mind to rest. If your family hasn’t begun to plan for the future and you’re unsure what would happen to your son or daughter if something happened to you, we’d love to help you with your special needs planning journey! Our team will meet you where you are and help you get to a place where you feel confident and secure, knowing that your loved one with special needs is well planned for and prepared to live an abundant, impactful life – the GREAT life you’ve always imagined for him or her. Schedule a call with me: https://calendly.com/enablesnp/30-minute-call OR email our team at: info@ENABLEsnp.com. We’d love to learn about your family and determine how ENABLE may be able to serve you! Previous postSpecial Needs Planning: How Should We Measure Success? Thanks for sharing your story. I wonder though if Sarah would like to have been included in the planning conversations not only to be reassured of her future, but that she also might have her own ideas about her future. Maybe she would rather not live with one of her siblings. WOULD YOU LIKE TO READ OUR ULTIMATE GUIDE TO SPECIAL NEEDS PLANNING? Please complete the form below to have a PDF version of the Ultimate Guide to Special Needs Planning and the Essential Special Needs Planning Checklist sent directly to your email account. 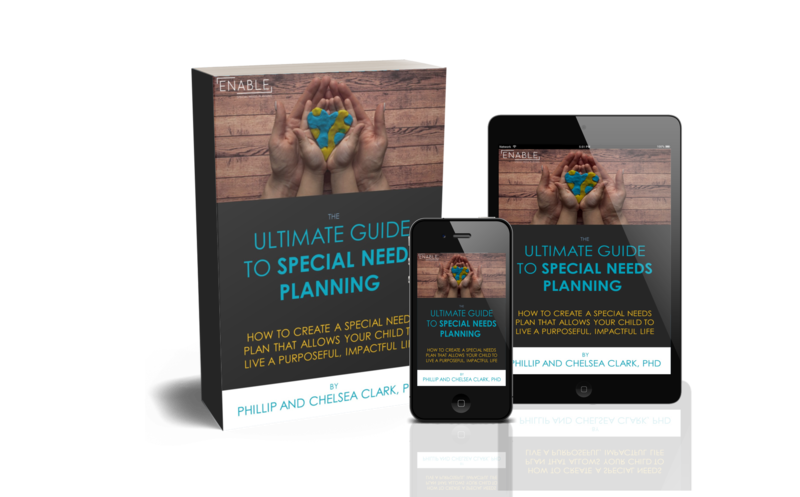 Get the Ultimate Guide to Special Needs Planning!